So you’ve decided to have your patio paved. It’s a smart move that can increase the value of your Baltimore home while extending its useable space. But that paver will you use? Deciding amongst all the available options can be a difficult matter, especially without any way to directly compare them. 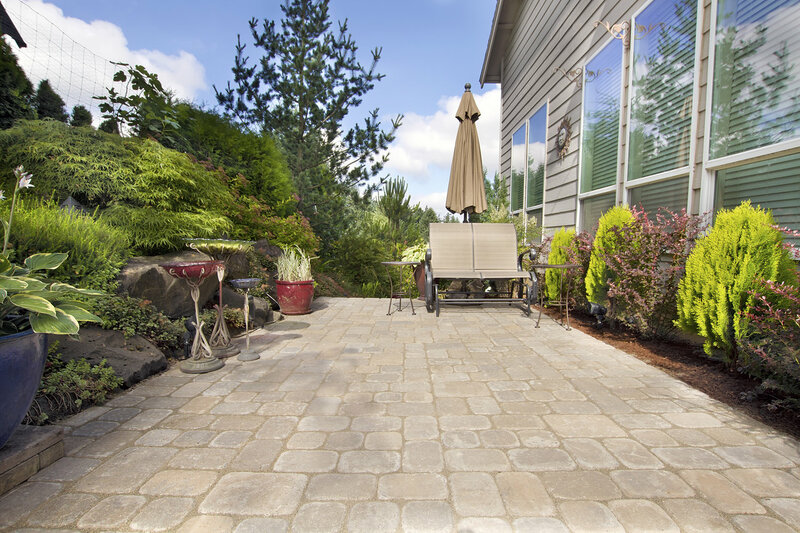 The Atlantic Maintenance Group is here with a multi-part series comparing the various types of patio pavers available for purchase. A classic choice for a patio paver, brick paver has character and style. They can be arranged in a simple flat method for uniformity, or different varieties can be mixed and matched to create a unique pattern. Brick pavers are available in a wide variety of shapes, sizes, and colors and can be finished to look brand new, or worn and weathered. They have a higher installation cost than some and typically run around $12-$18 per square foot in a professional installation. With a more modern look and feel than brick, concrete pavers can also come in a diverse selection of styles, sizes, and finishes. They can be brushed, acid washed, scored, stamped, and are available in virtually any color. Concrete also benefits from having a low installation cost and a relatively long lifespan. Stamped Concrete can be used to simulate brick at a fraction of the cost. 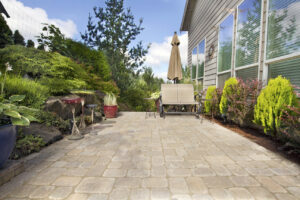 Concrete pavers are usually between $6-$12 per square foot. Manufactured using recycled tires, rubber tiles are designed to fit over any surface. Because they’re lightweight, they can be easily fit on decks. Designed to look like concrete and available in brick or terracotta finishes, rubber tiles are relatively new on the marketplace. It’s hard to say how they perform over time, but they’re an easy pick for DIYers as they snap together with connector clips and go for about $3-$6 per square foot. However there’s little information as to how they perform over time. Check back next week for further comparisons between paver patio options. The Atlantic Maintenance Group specializes in the installation and maintenance of paver patios in Baltimore. If you have any more questions about paver patio maintenance, are looking to install a new patio in your backyard, or would like a free quote, call Atlantic Maintenance Group at 410-768-4720 or contact us via our website today. This entry was posted on Monday, October 13th, 2014	at 6:12 pm	and is filed under Blog, Paver Patio	. You can follow any responses to this entry through the RSS 2.0	feed. Both comments and pings are currently closed.